Though we all love new clothes, how about celebrate Earth Day by making a little change? 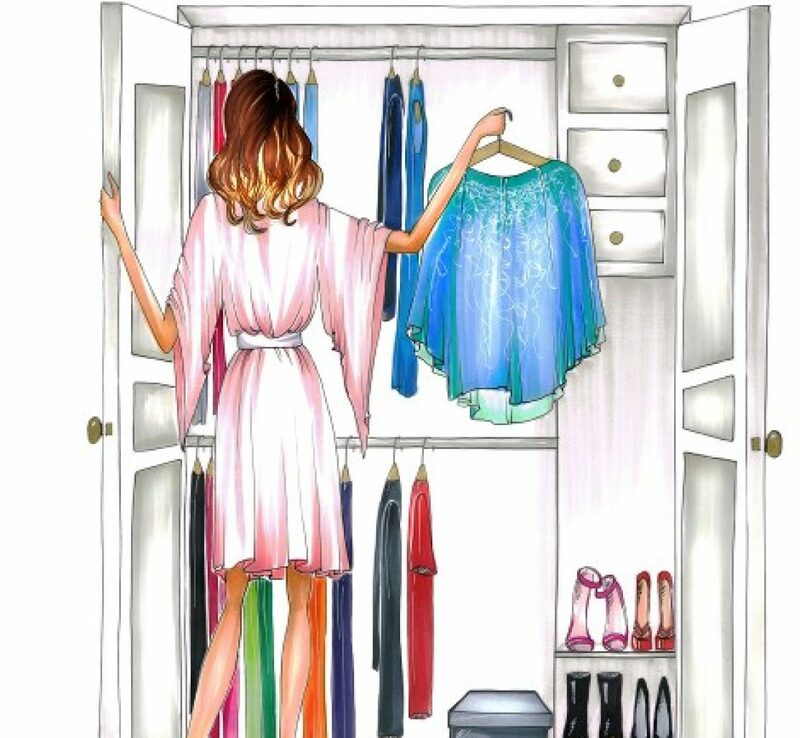 Buy a resale dress, shop your closet, look at Pinterest to see how to style clothes you already own. Try Rent the Runway and rent a dress for an upcoming event. Our obsession with new and cheap fashion, if left unchecked, may ultimately lead to our planet’s demise. Buy used when you can. And buy new, if you really want to, but maybe think a little bit before you do. Some Tucson stores to try: POSH Boutique; Buffalo Exchange, Green Monkey Boutique and Girlfriends Closet. A little blue dress inspiration. Cinderella had it right, blue is the most beautiful color on everyone of any age. If I was lying, Anna Wintour and Meghan Markle would not be featured wearing it so there…. I kept looking at the new Burberry logo and wondering why it rang so familiar. Oh yes! I finally figured it out…it looks just like one of Tory Burch’s logos. I wonder if anyone else agrees? Don’t they have research teams that can prevent this from happening? As a history buff, the Lanvin label has always been a favorite of mine. Not only is it the oldest fashion house still in business (circa – 1893), but the fashion illustrations of founder Jeanne Lanvin’s designs continue to serve as beautiful inspiration for an amateur. Since celebrated designer Alber Elbaz was pushed out from the label in 2015, things have looked bleak for the elegant French brand, now under Chinese ownership. But, its latest show, under new 31-year-old designer Bruno Sialelli, has been a critical success, so truly hoping fashion history survives. Beautiful Lanvin pieces can still be found online at The Real Real and at Tucson’s Posh Boutique. On the way home from volleyball practice, I was talking about Tatcha’s new coveted primer, The Silk Canvas, when my daughter’s BFF, Charlotte, told me, “There’s a dupe for that!” I pretended to know what “dupe” was and asked her to tell me more. Turns out, it’s YouTube trending that E.L.F.’s Poreless Putty Primer delivers a similar skin priming for only $8 to Tatcha’s $52. So, um ya, I’m game! Well, unfortunately, everyone else is too! The E.L.F. product is sold out online and Ulta can’t keep it in stock. And then, my amazing friend Haley found a cache of them at Walmart!! I’ve used it once and I don’t know if it’s just the thrill of finally getting it or what, but it rocks! Happy hunting!